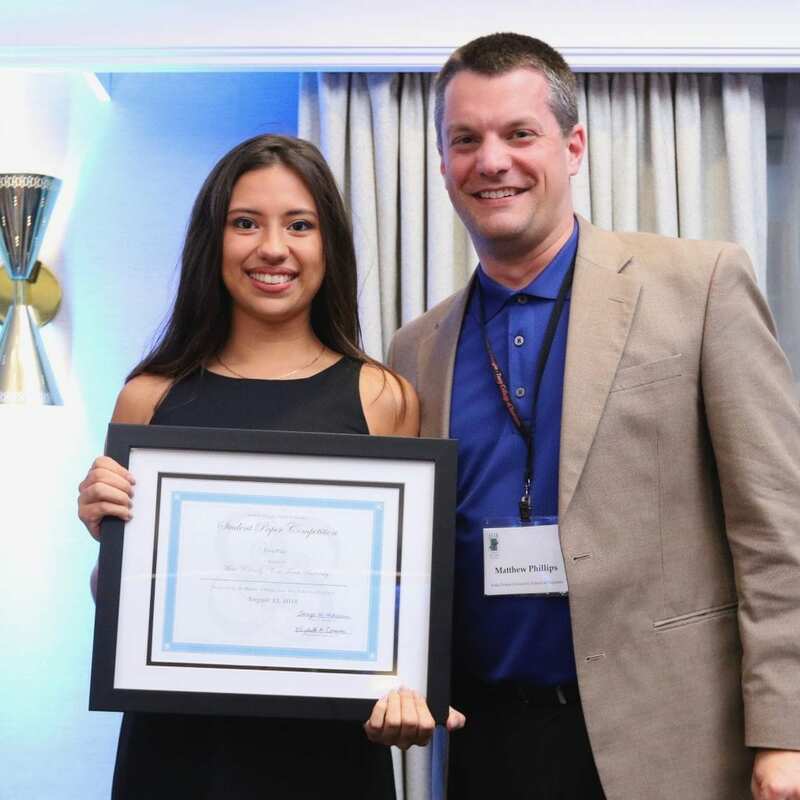 Maia Kennedy (BS ’20), a junior majoring in Business and Enterprise Management at the Wake Forest School of Business, earned first place in the student paper competition at the Academy of Legal Studies in Business (ALSB) annual conference. It was the first attempt for Maia and the first time a Wake Forest University student participated in the competition. Her paper, “Distant Neighbors: A cross-border analysis of formal property rights in Mexico and Costa Rica,” explores the ways that regulatory hurdles and obscure property constructs have made real estate investment more difficult in those two countries, resulting in frequent extralegal property transactions that obscure basic property rights. Fast forward to her sophomore year: Maia was working as Phillips’s research assistant when he encouraged her to pursue her own research. “He had seen what I could do with his research and felt I had the ability to do this. I’m glad that he did. He believed in me probably before I believed in me,” she added. It took Kennedy the majority of her sophomore year to complete her research. She used what she had learned about international property law in the ‘Why Business?’ course and dove deeper into the subject. “I researched it more and then tied it with my affinity for traveling. That’s why my paper is about Mexico and Costa Rica,” she added. Phillips, an associate teaching professor, served as Kennedy’s advisor on the project and met with her bi-weekly to help guide her through the process. Maia, who is concentrating in marketing as part of the BEM program and minoring in Spanish, says that the project combined both programs in a unique way. Maia submitted her paper to the ALSB in early June and was notified a few weeks later that she was among four finalists invited to present at the organization’s annual meeting in Portland, Oregon. Each finalist would have 10 minutes to present their research and five minutes to answer questions from the conference attendees. The finalists were recognized at the conference banquet that evening. Based on her paper and presentation scores, Kennedy was announced as the first place finisher in the competition. Kennedy has now turned her focus on where to take her research next. Aleasha Vuncannon is a freelance writer and public relations professional based in Asheboro, N.C.